EdChat Interactive is a new type of free, online PD brought to you by some of the same folks who created #echat twitter discussions, including Tom Whitby and Steven Anderson, who are both friends of mine and in my Personal Learning Network and great educators. They created it as a way for educators to share and learn the best ideas, practices and techniques that are working in schools. Their events are interactive and social and very well done. Previous events are archived on the site. Edchat Interactive Founders, Steven W. Anderson and Tom Whitby will conduct a fast-paced discussion on education through a global lens. Fresh off a trip to a large conference in Dubai, Steven and Tom will examine what issues face education globally and how we can think more globally about issues facing education in the US. Register here. 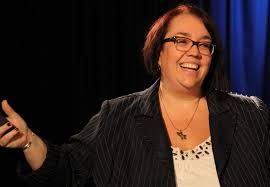 Edupreneur Ginger Lewman will lead us in discussing Why aren't all educators embracing authentic learning-by-doing and project/problem based learning? And what, if anything, should we do about it? More here.